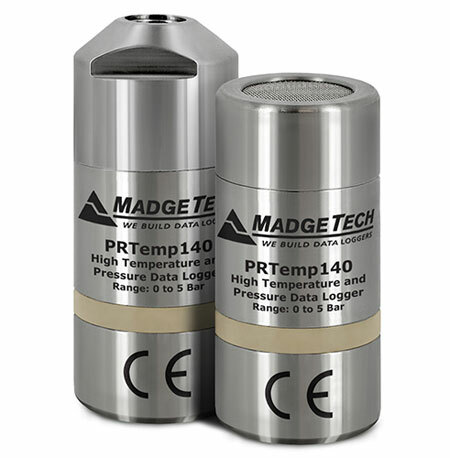 The PRTemp140 is a pressure and high-temperature data logger all in one, created specifically for use in autoclave validation, mapping studies and pressurized processes. Featuring the familiar body style of the 140 series of data loggers and made of rugged stainless steel, this dual purpose device is less than 2.5 inches in length, allowing it to fit discretely inside small spaces. 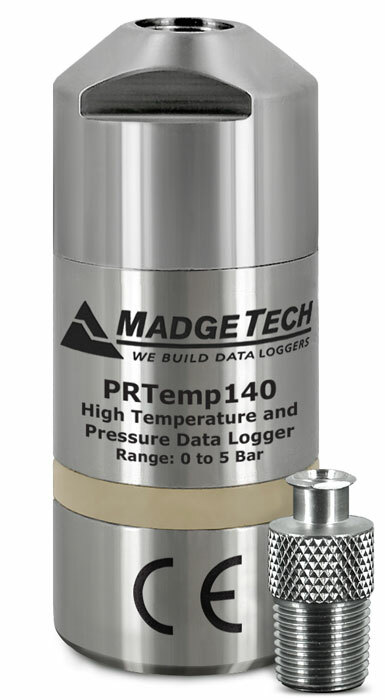 This data logger downloads temperature and pressure data simultaneously and displays the combined results in a single graph, simplifying data collection and analysis and eliminating unnecessary steps for the user. It is able to measure and record temperatures from -20 °C to 140 °C (-4 °F to +284 °F) and pressure from 0 bar to 5 bar, accommodating a wide range of applications even in the harshest conditions. Real Time Recording: May be used with PC to monitor and record data in real time. SHORT CIRCUIT, CHARGE, FORCE OVER DISCHARGE, CRUSH, PENETRATE, OR INCINERATE. 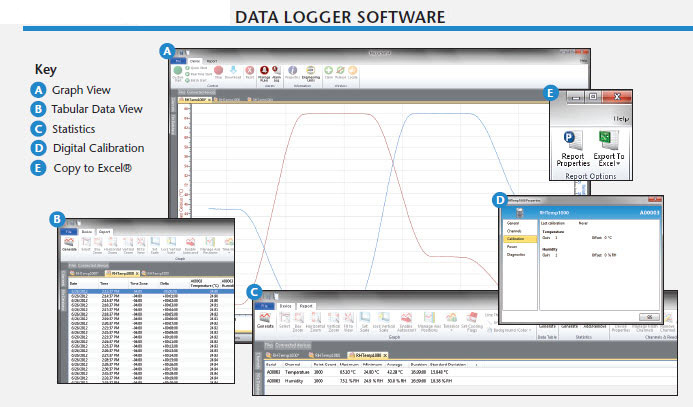 Data Loggers require a software support kit which includes USB cable, software, and manual. 1/8 inch NPT to Female Luer lock adapter.